Crawford County Home Health, Hospice & Public Health meets the community's needs through providing public health, home health, hospice and homemaker services. Crawford County Home Health, Hospice & Public Health has been Medicare certified since May of 1974 and Hospice certified since May of 1999. 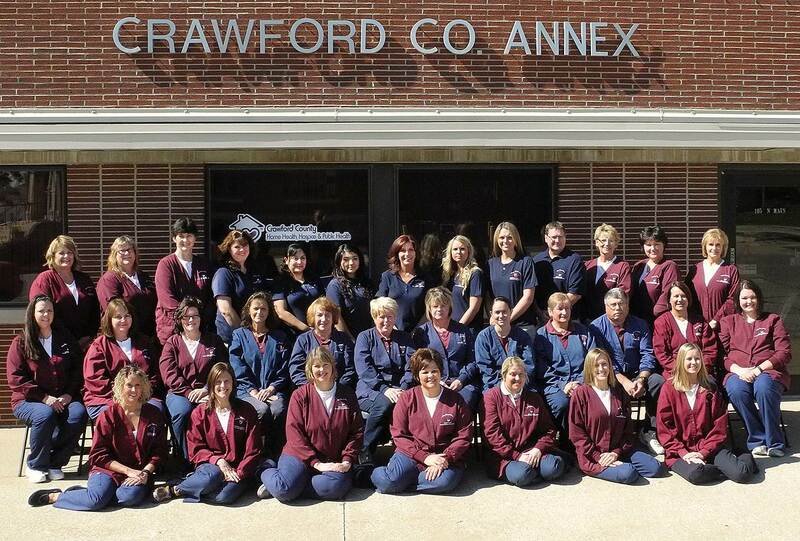 Public Health services have been provided to the citizens of Crawford County since 1951. The agency is a non-profit organization serving under the direction of the Crawford County Board of Health and receives financial support from the Crawford County Board of Supervisors. Crawford County Home Health, Hospice & Public Health believes in the human rights of each individual, the value of life and the goal of achieving the highest standard of health possible for each individual served. The agency believes that these services provided are an important part of the health care delivery system. It is also believed that a home environment in many cases can enhance and encourage individuals to strive for optimal health. To achieve this goal, coordination and planning must involve the physician, other service providers, and educating the client and/or family. Optimum quality care is important to meet the community health needs.